Welcome to NETTWORTH: Life Simulation Game Press page. information, let us know. We’d love to provide more for you. “NETTWORTH: Life Simulation Game” is a casual simulator game where we make learning financial management fun. In NETTWORTH, your goal is to accumulate wealth and become the richest person in Capital City by managing finances, health and time, while securing your own future and your generations to come. Gameka has two main divisions: gamification and IP Creation. In the IP creation division, we want to make games that we truly enjoy. We focus on great visuals and polishing our games to make them stand out from the rest. Managing finance, planning and making the right investment for the future are essential to our everyday lives. Most people today are unaware of their personal financial status. M&H approached Gameka to tackle the issue through digital entertainment in hopes to reach out, create awareness and educate the general public. NETTWORTH: Life Simulation Game is not only made to be fun, it is to teach financial literacy to the general public. The NETTWORTH team simulated real-world experiences in the game by developing and implementing the logics of the real-world. This is to provide players value and a safe space to explore and discover the consequences of their actions and decisions. Become one of the best and most successful people in life. Graduate with excellence in your education, invest in properties and work for higher earnings to shop for the most luxurious items for your home. 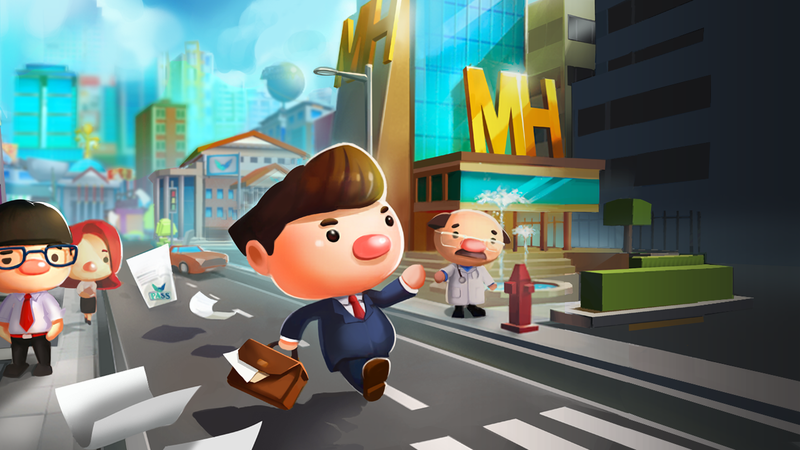 Will you become a billionaire tycoon? Masters of highest education? The riches landlord in the city? The path is open for you. Compare your life with the life of your friends and people from all around the world. Who can make it to the top and be the most successful of all time? Who has the highest NETTWORTH? Gameka was founded on the dream that gaming can create a positive impact on the world. Everyone remembers their favourite story, movie or television series. Many of us remember our first electronic game and the time we spent playing those games. At Gameka, we want to be part of this experience by developing electronic games and software solutions that are engaging, exciting and exceptional. Our business in Gameka consists of two parts, implementing Gamification and building our own games. Our Gamification division seeks to work with businesses to integrate game concepts and principles to improve experiences, increase engagement and enhance education. We apply concepts such as artificial intelligence, automation, virtual and augmented reality as well as achievement systems to help companies grow their business in today’s digital world. Our gaming division focuses on building our own IPs by leveraging on our team’s diverse backgrounds from pen & paper role-playing games and collectable card games to art, cosplay and competitive online gaming. We strive to build games that can create a global impact and while we are new in the industry, we have already attracted significant exposure including being finalists for the Indie Prize as well as the International Mobile Gaming Awards. At Gameka, our goal is to build extraordinary experiences that create a positive impact in our digital world.